Founded in 1929 in Buffalo, New York, Johnson American is one of the oldest fastening specialists in the industry. We are well known and respected for our specialty products and innovative solutions. Our long history of service has allowed us to develop a substantial knowledge base that we use to develop and source the ideal solution for each unique application. We recognize that anyone can be an order taker in the fastening industry, but we strive to be more. We search out suppliers that produce unique specialty items and are willing to help us meet challenges and solve difficult problems at a fair price. At Johnson American, we stress the value of relationships — value that is earned by providing more than a product. Following are just a few examples of how we’ve delivered on our promise of expert solutions. Chrysler needed collared square pins for their push-button drive selector, but their supplier had serious delivery problems due to the high volume required. This delay caused serious issues that ultimately forced them to shut down their production line. We found a source capable of producing in high volume and keeping up with production requirements. Fisher-Price approached us with a need for a specialty screw for their popular Snoopy dog pull toy. The item was pre-drilled and then covered with an adhesive decal. They needed a screw that would pierce the paper decal using a pinch point, then transition into sheet metal screw threads to connect the inner parts. We were able to find and provide a fastener that met these needs, and it was used successfully for years. Motorola approached us in need of slabbed head set screws for their car radios. Their existing source had a large rejection rate that was causing serious production problems. We found the only manufacturer capable of producing the part consistently without quality problems. 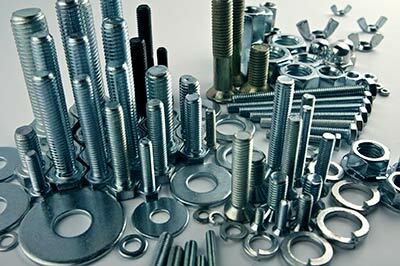 If you’re searching for a reliable fastener company with a history of service and a wealth of knowledge, we are ready to serve you — by the carton, keg or carload. Contact us at 610-279-3822 to speak with one of our knowledgeable fastener specialists, and we’ll help you find the ideal solution for your needs. Copyright © 2015 Johnson American Fastener Company, Inc. - All Rights Reserved.